We are backed by keeping the pace with all the set of quality norms of the industry; we have emerged as a noted distributor of an extensive range of overall shielded cables. Our provided range of cable finds its application in telephone switching exchange, telephone switch board, telephone wiring, pulse code modulation systems, communication systems, and digital transmission networks and so on. Having the rich industrial experience and a knowledgeable team of experts, we are talented to offer you Overall Shielded Cables. These cables are made utilizing the high grade of raw materials at trustworthy vendors premises with quality tested with the expert professionals. Moreover the offered ranges of shielded cables are checked on various parameters to ensure the observance with the international quality norms and standards. Our cables are high adaptable information links for low recurrence transmission application. To acquire acceptable result from shielded cable, the shield must be unbroken and must expand to a point as near the end of the conductor as practicable. 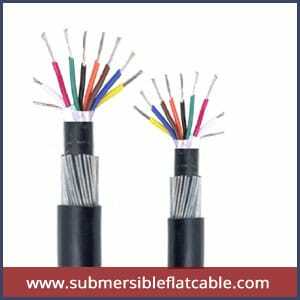 Moreover the shielded cable is either grounded or dead-ended at each end as required by the individual installation.